Missing teeth? What about dental implants? If you have started to lose your teeth, you may be a bit frightened and you may also want to find a way to replace them that isn’t the same way your granny had to use. Fortunately, although you can still have dentures, and they have improved over the years with new methods of manufacture and materials, there is a more modern way. It’s called dental implants and it takes replacing missing teeth to a whole new level of effectiveness. The big thing with replacement teeth is that they need to look as good and work as well as natural teeth. Well, all replacement teeth can look good these days because the dental porcelain used to create them can be coloured, shaped and sized to look just like real teeth. Whether they work as well is a whole other matter. Teeth depend on being rock solid for good chewing. Teeth that wobble can’t be relied on to chew well or behave in conversation. Dental implants are the only replacement method that anchors the crown into the jaw. The implants are tiny posts or screws that we insert into artificial sockets that we carefully create in the jaw. The bone fuses with the posts, which are made of biocompatible titanium, growing new tissue all over them. It takes a few months, but once the bone and implant have fused, the replacement teeth can take on almost anything (although don’t try and open bottles with them, that would be silly). Dental implants can hold up to 3 teeth on a bridge, and you can have an entire arch of teeth replaced with just 4-6 implants. 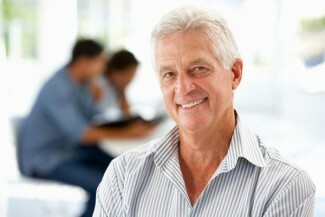 In theory, anyone over the age of 18, when the jaw stops growing, can have dental implants fitted. So, they are a great replacement method for people who have had their front teeth knocked out in accidents or during sports. The only barrier to dental implants is a jaw that has deteriorated through lack of use. Also, if you are a smoker or have uncontrolled diabetes, your implants may not integrate, so we like you to sort out your condition before we treat you. It can be tempting to live with missing teeth, especially if they were situated at the sides or back of your mouth where the gaps can hardly be seen. But don’t do it, it’s not good for the rest of your teeth or the health of your jaw. Instead, book an appointment with us at The Old Windsor Dental Practice in Windsor and we can look at the various ways of replacing missing teeth and work out which one is going to be best for you, your lifestyle and your budget. There are 3 different ways to replace missing teeth. 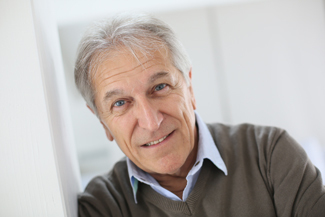 Full or partial dentures are one way, fixed bridgework is another and finally, you can also have dental implants. 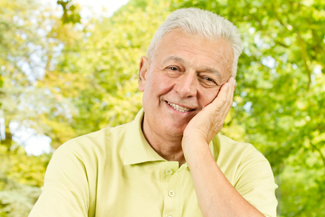 Dentures can be used to replace some of your teeth, or all of them. Partial dentures are fixed to a plate that goes behind your remaining teeth. Full dentures are fitted to a plate that goes over your palate at the top and around your tongue on the bottom jaw. All dentures are removed at night. You soak them in denture fluid to help clean them and you give your gums a rest overnight. This replacement method works by anchoring replacement teeth to those that still exist, so it can’t be used if you have lost all your teeth. The teeth next to the gap are used as buttress crowns, giving the bridges as much stability as natural teeth. The replacement teeth are made of dental porcelain and the bridge is made of metal to give it strength. These are little posts or screws that are inserted into the jawbone where they fuse with the bone tissue. Dental implants can be used to replace one, some or all of your teeth. Dental implant-retained teeth do not come out at night. However, they can also be used to stabilise dentures, which continue to be taken out at night. Which one is right for you depends on factors such as the state of your jawbone and the cost. The best way to find out which will suit you is to come in for a consultation and let us take a good look at your teeth and jaw. 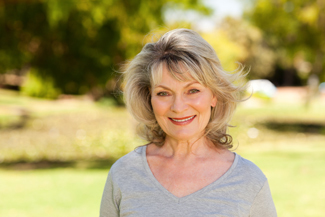 If you are faced with extraction, or you have had some teeth knocked out, at Old Windsor Dental Practice, we recommend that you replace your missing teeth with dental implants in Berkshire. The reason we recommend dental implants is that they are the only method of tooth replacement that properly mimics your natural teeth by replacing the root of the tooth as well as the crown. You need your tooth roots. They may not show when you smile, but it’s your tooth roots that make chewing and speaking possible. When you replace your teeth with something that doesn’t replace the roots, such as dentures, you’ll never get as good a chew as you do with your natural teeth. Dentures rely on suction to the gums to stay put, and even when they fit really well, they can only give you about a quarter of the power of your natural chew. Imagine what that means in terms of what you can and cannot eat. All sorts of delicious healthy, crunchy things like celery and apples are off the menu and you’ll be pretty much confined to a soft food diet. The other thing about replacing the roots of your teeth is that dental implants help preserve the strength and integrity of your jawbone. When you lose a tooth root, the jawbone around where it used to be no longer receives the vibrations that tell it to renew itself. In fact, it doesn’t just sit there, it actively starts to dissolve itself, sending the calcium and other nutrients from the bone for use elsewhere in the body. This dissolving process kicks in almost as soon as you lose a tooth, so if you want dental implants, it’s best to come in for a consultation as soon as you. You can lose up to 25% of the jawbone around a lost tooth in just a year after it’s failed. If you have left it a while, come in for a consultation anyway. If your jawbone has deteriorated, we may be able to build it up back with a bone graft or do some other kind of preparatory work. Our teeth can affect the way your whole body functions. When they are healthy, you tend to be healthy as well. However, decayed and broken teeth can create many problems, including further tooth loss. For this reason, replacing your missing teeth in Berkshire is vital. At The Old Windsor Dental Practice, dental implants are our restorative treatment of choice for patients who have lost one, several or all of their natural teeth. Unlike conventional dentures and bridges, dental implants fuse to the jawbone and create a strong and sturdy foundation for replacement teeth. How do dental implants function? Dental implants function just like natural teeth. These small, titanium, screw-shaped posts are surgically embedded in the jawbone, where they replace missing tooth roots. Because they are made of titanium, a biocompatible material, they have the ability to fuse with the jawbone, encouraging the regeneration of bone tissue. Once this process has been completed (it can take from a few weeks to several months), the dental implants are topped off with a dental restoration, such as crowns, dentures or bridges. Most patients can have dental implants as long as they are healthy enough to undergo a surgical procedure and have enough bone left in their jawbone. Health conditions affecting the immune system, like uncontrolled diabetes, HIV/AIDS, and cancer obstruct healing and increase the risk of an unsuccessful recovery following the implant surgery. In these cases, a non-implant supported replacement may be a better option. Also, patients who smoke are strongly advised to quit because nicotine can impede the healing of dental implants. No matter how much information you think you have about dental implants, the only way to know for sure whether or not you are a suitable candidate is to schedule an appointment with one of our dentists at The Old Windsor Dental Practice. During your appointment, we will examine your teeth thoroughly and discuss your health, lifestyle, and smile goals to determine whether dental implants are the right treatment for you. Call into our surgery today and book your initial consultation. With many dental treatments and prevention options available today, tooth extractions have become a less common procedure. Dentists try to do everything possible to restore a tooth to its original function, but sometimes this is simply not possible. Removing a tooth is the last option, but luckily there are many effective ways available to replace missing teeth. At The Old Windsor Dental Practice, we offer various ways to replace one, several or all of your missing teeth. These include dental bridges, crowns and removable dentures. 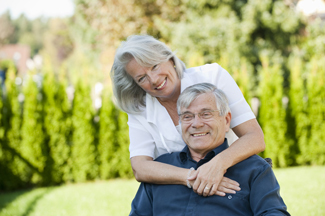 We also offer dental implant solutions, ranging from regular dental implants to denture stabilisation. While dental implants are a viable treatment option for missing teeth with long-lasting results, other replacement methods may be more suitable for you. Our dentists will examine your teeth thoroughly and help you decide which treatment is right for you. We approach each case on an individual basis and recommend treatment that would best suit your needs and overall budget. If you are missing a few teeth in a row, then a bridge may be a good replacement option. A dental bridge is a series of crowns fitted over the gap created by the missing teeth, fixed onto the adjacent teeth. These adjacent teeth need to be ground down to support the bridge. Dentures have been used to replace missing teeth for many years and are a popular restoration option for patients who have lost most of their teeth. 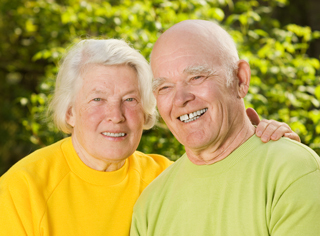 Modern dentures are lightweight, well-fitting, comfortable and natural-looking. A crown can be the most effective way to restore a cracked, heavily-filled or weakened tooth. A crown is a cap that will completely encase your damaged tooth and restore its function and appearance. Crowns are very durable and can dramatically improve the force of your bite. Your dentist might also use a crown to top a dental implant or support a bridge, replacing one or more missing teeth. Dental implants are a viable way to replace one or more missing teeth, while they can also be used to support dentures or bridges. Dental implants are artificial tooth roots that are surgically embedded into the jawbone, offering support and stability comparable to regular teeth. Teeth are an essential part of your body and can affect your bite, speech and eating choices. If you lose one or several teeth due to injury or decay, you need to replace them as soon as possible, because, without them you increase the chances of damaging or losing your remaining healthy teeth. Missing teeth can also cause tooth misalignment, jaw damage and chronic headaches, not to mention an increased risk for tooth decay and gum disease. At Old Windsor in Berkshire, we recommend dental implants and implant-supported restorations for permanent and long-lasting results. Since dental implants fuse into your jawbone, they act just like your natural teeth, safeguarding and preserving your bone structure, oral health and appearance. During your consultation appointment, you will be provided with all the options available in order to make the most informed tooth replacement decision possible. Dental implants are the closest possible alternative to actual tooth replacement. These small, titanium posts are surgically fixed into the jawbone and act as replacement roots for your missing teeth. Once healed, they are mounted with replacement teeth in the form of crowns, dentures or bridges. For most patients, dental implant placement is completed in two surgical procedures. First, implants are placed within your jawbone. After they have fused to the bone, the second phase begins. Your dentist will uncover the implants and attach the replacement teeth. The entire procedure usually takes two to eight months but in some cases, patients can have dental implants from root to crown within a day. Because dental implants feel and look just like natural teeth, they are very beneficial for your self-esteem. However, beyond appearance, dental implants fully restore your ability to eat, speak and chew without having to worry about loose dentures. Dental implants also benefit general oral health since they do not have to be attached to other teeth, like conventional bridges. The first step towards a beautiful, healthy smile is to schedule an appointment with one of our friendly dentists, who will be able to evaluate whether dental implants are right for you. Please contact our office by phone or visit our website for more information on dental implants in Berkshire. Tooth replacement has never been easier, thanks to advancements in modern dentistry. Whereas options for replacing missing teeth used to be very limited a few decades ago, nowadays, you can opt for dental implants for more natural, more comfortable and longer lasting results. 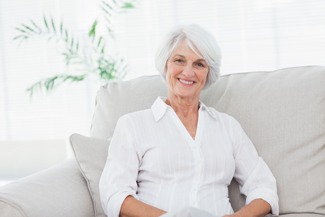 At Old Windsor in Berkshire, dental implants are a reliable and comfortable treatment for those who have lost a tooth or many due to decay, injury, gum disease or old age. Implants provide a permanent replacement option that looks and feels like natural teeth. One or more missing teeth, and their roots, accelerate the deterioration of the jawbone. Left untreated, bone loss can lead to the deterioration of your bone structure and recession of the jaw line. This way you face will appear sunken and prematurely aged. Missing teeth also increase your risk of developing gum disease, misalignment, or additional tooth or gum loss. Made of strong titanium or zirconium, dental implants are fused surgically to the jawbone. Dental implants replace the tooth root by supporting artificial teeth, such as dentures, bridges or crowns. Unlike conventional bridges, no healthy teeth are damaged with implants. Implant-retained replacement teeth are natural-looking, stable, and comfortable for almost any patient. Dental implant offers a stronger oral foundation for replacement teeth because they are embedded into the jawbone. Because they are made of titanium, a material which is very compatible with the human body, they fuse into the jawbone and prevent the bone tissue from deteriorating. Our practice uses the latest materials and implant techniques to ensure natural-looking and highly durable results. 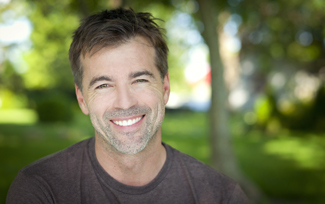 With proper daily oral hygiene, your dental implants could last a lifetime. Dental implants offer an excellent, long-lasting way to replace your missing tooth, but they aren’t appropriate for everyone. In order to be a suitable candidate, you must have good overall health to be able to undergo surgery as well as optimal dental health and enough strong bone tissue to ensure the success and longevity of the dental implants. In some cases, a patient with little bone tissue may be eligible for bone grafting, a dental procedure that helps support the existing bone tissue and promote the growth of new tissue. At our dental practice, we have a patient-centred philosophy. By ensuring that the individual is at the heart of all our practices, we can create a welcoming, relaxed environment and make dental treatment easier. One of the ways in which we do this is to ensure you have plenty of options for working on any dental issue that you have. We give you plenty of information on your choices and help you to make the one that is right for you. Having missing teeth or the threat of losing your teeth can be quite distressing. Your smile and its functions are a central part of life as well as your look. Fortunately, there are many excellent dental procedures that you can explore to either prevent loss or replace missing teeth in Berkshire at our clinic. We associate a full, bright smile with health and youth. If you have gaps or unhealthy teeth, this can affect your confidence. Any self-consciousness can have a knock-on effect, professionally and personally. Getting your teeth replaced can give you a new lease of life. The replacements are often stronger, easier to use and more aesthetically pleasing than the teeth they have replaced. Another reason to replace teeth is for your general dental hygiene. Unhealthy teeth can affect those around them. Tooth sockets are also more prone to infection. A full set of teeth is easier to take care of. Basic functions like eating and speaking rely on the teeth. In order to enjoy a full range of foods, it is best to have the fullest set you can manage. Speaking well and confidently relies on you feeling like you are clear and can be heard. If missing teeth are affecting either of these things, replacing them can restore some or all of your functionality. There are a number of options depending on the current condition of your teeth, your budget and your priorities. Your dentist will assist you in weighing these things against what is possible and creating the best overall outcome. Your options might include a crown or bridge if you have only one or a few damaged teeth. If you need complete restoration for some or all of your teeth then dentures or dental implants are solutions you could consider. If you have missing teeth or you think you might want to have teeth replaced soon, then you need to explore your options. Regular check-ups at your dentist are the best way to ensure that your teeth stay healthy and your smile stays intact. Your dentist can spot potential issues before they happen and they may be able to help. If you want to tackle the problem of missing teeth in Berkshire at Old Windsor Dental Practice then please contact us. One of our team will do an examination of your mouth and explain your options in detail. If possible, you will be offered a crown for any significant decay or damage to your tooth. Crowns cover areas that are too big for fillings. First, the dentist will remove any decayed material before they take an impression of the area. This is used to craft a crown which is like a cover that sits on top of your tooth. Bridges are used to replace more than one tooth at a time. Several teeth can be mounted on a bridge to achieve a natural look. They are usually supported on the remaining teeth but can also be held in place using dental implants. Both bridges and crowns can be used like normal teeth for eating and other activities once they are fitted. All that is required to take care of them is a diligent dental hygiene routine. Dentures can be used to replace all or some of your teeth. They are an excellent budget option. A full denture will usually replace an entire arch. They are crafted to fit the shape of your gums as snugly as possible. A partial denture fills the gaps in your teeth. New teeth are mounted on a plate. This is fixed to your remaining teeth which then support the denture. This means that the teeth need to be relatively healthy. Dental implants are a strong and highly functional solution. They are tiny metal cylinders or screws that are fitted into your jawbone. These act as anchors for prosthetic teeth in the form of a crown, bridge or dentures. They are the most expensive option detailed here but they are designed to last a lifetime if properly cared for. 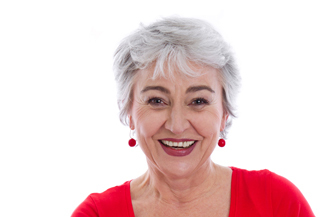 Many patients who have dental implants report that they feel just like normal teeth. Ask any dentist and they will tell you that missing teeth should always be replaced. There are several reasons for this, not least the obvious aesthetic concerns caused by gaps in the mouth. At Old Windsor Dental Practice in Berkshire, we offer several options to replace your natural teeth, and will work with you to find the perfect solution to suit your needs. The first reason to replace missing teeth is that having gaps in your mouth can make you too self-conscious to smile. This can affect your personal and professional life, and can leave serious dents in your self-esteem. If you don’t smile at all in public, people can easily get the wrong impression about you. When teeth are missing, any remaining teeth are likely to move into the gaps, getting crooked and twisted in the process and becoming more difficult to clean effectively. This means that your chances of developing tooth decay and gum disease are increased as there are more tricky-to-reach areas in which plaque can build up, thus ultimately increasing your chances of further tooth loss. If you have lost all or most of your natural teeth, you may find that your speech and your ability to eat a healthy and balanced diet is affected. People restricted to a soft food diet may struggle to get proper nutrition, which can have serious detrimental consequences for your general health. We offer a number of tooth-replacement options at our Berkshire clinic, and your dentist will work with you to find the perfect one to suit your needs. Either standard removable dentures or dentures affixed to dental implants, used to replace some or all of your teeth. Bridges replace one or two teeth. They may be supported by adjacent teeth, or by dental implants. The only permanent way to replace missing teeth, these bionic tooth roots can support dentures, crowns, or a bridge. Copyright © Old Windsor Dental. All rights reserved.